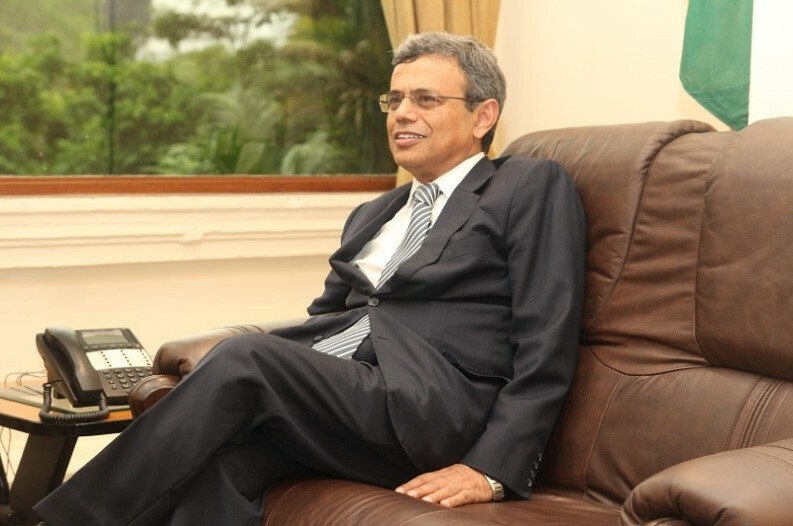 The High Commissioner of India to Singapore, His Excellency Jawed Ashraf, presented his credentials last November to President Tony Tan. He has served in the past in Nepal, Germany, and USA and was also a senior official in India’s Prime Minister’s Office. He is also an avid photographer and writer who compiled a coffee table book on Kathmandu dedicated to the victims of the devastating earthquake that hit Nepal in 2015. He shares with Mrs. Nomita Dhar, Editor-in-Chief of IN Diplomacy, his thoughts on bilateral ties and how he has found Singapore (so far). Your Excellency, welcome to IN Diplomacy. You have just presented your credentials last November. What is on the cards between India and Singapore during your tenure? It’s been a very exciting last eight weeks or so (since I arrived) and I’m looking forward with a great sense of anticipation and purpose to my tenure here. While our two countries vastly different in size, we are united by the many strands of common interests and values, opportunities for cooperation and the human connection of a large Indian community in Singapore and the many who travel frequently between our two countries. We have an interconnected history and, more importantly, we have a deeply inter-twined future. I look forward to contributing to the further deepening of our Strategic Partnership, both in the extraordinary range of bilateral relations, and in the regional and global context. How about Singapore’s role in India’s current economic boom and transformation? India’s economic transformation is one of the exciting stories of our contemporary times and Singapore has been and will remain an important partner in this transformation. There is no area of our development priorities where Singapore is not playing a part. And it is not just at the central government level. There are also many state governments that have very productive partnerships with Singapore. For India, the island republic is a leading source and destination for investments and one of our major trading partners. It is also a gateway to the East for India. As Singapore seeks new avenues to diversify its external engagement, and as we both gear up to face a rapidly changing world, technologically and economically, India is a huge opportunity, precisely in areas of strength for Singapore. We would look to expand in every area of co-operation. Are there any upcoming events that will be initiated by the High Commission in 2017, especially since this year marks 25 years of India-ASEAN relations? India’s relations with ASEAN is a foreign policy priority for India and a central pillar of our Act East Policy. 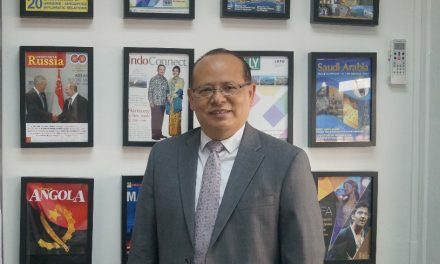 We believe that the united, dynamic and integrated ASEAN is a big economic opportunity and vital for peace and stability and evolution of an open, balanced and inclusive architecture in the wider region. We both also have very similar views on maritime security through peaceful resolution of disputes. We are looking at an active calendar of events, including in Singapore, which will cover institutional arrangements, connectivity, business relations, science and technology, people-to-people contacts, etc. We want to celebrate the progress in this engagement and define an ambitious roadmap for the future. Bilaterally, we’ve already got off at a good start in terms of exchange of visits. Deputy Prime Minister of Singapore Tharman Shanmugaratnam just visited India on 30th December 2016, where we concluded the protocol for the amendment of the Double Taxation Avoidance agreement (which was decided during Prime Minister’s Lee’s visit earlier to India). We appreciate Singapore’s support in ensuring it went off quickly and smoothly. There is going to be a number of ministerial visits on both sides. We also just had our annual Defence Policy Dialogue. This is a very important element in our relationship. We have planned a number of business events in this quarter. You mentioned there are a significant number of Indian tourists visiting Singapore. What is happening to attract more Singaporeans to India? India is an attractive destination for tourism in every respect. There is nothing that a traveller would seek from a destination that India does not offer, and that, too, at a level of diversity that is quite unmatched in the world. It is “Incredible India” with good reasons. We are doing much, from easier visa processes (electronic visas, for example) to improving tourism soft and hard infrastructure to make visits to India even more pleasant. Singapore is an important target market for us and there are certainly a number of ways we can do more. In the last quarter of 2016 we’ve seen the launch of two new direct flights (Jaipur and Bangalore) to add to the already impressive list of direct flights between the two countries. We would also like to see how we can bring the Northeast of India into better connectivity with Singapore, as the distance and flight time is quite short and the Northeast is a boundless treasure for tourists. So our effort is not just to generate awareness, but also to connect the two countries directly. India’s Buddhist circuit is doing very well and is an area attracting many from Singapore. You have been a career diplomat with illustrious postings. What are the different experiences that you have had in these places and how would you like to bring those to your present posting? My experience as a diplomat is very diverse. I have spent many years in Delhi and in offices which have given me very wide exposure, both to India and the world. I can say for sure that after having a 360⁰ view of India’s global engagement in the last four years, our government attaches enormous importance to its relations with Singapore. Representing India here, therefore, gives me a great sense of satisfaction. Singapore is also a very vibrant place to follow the region and the intellectual discourse on geopolitics and geo-economics is very rich. This gives me a great sense of satisfaction that I am representing the country here. It is difficult for me to pinpoint any one thing or one aspect of my past experiences, but I do hope I can use that experience to our advantage into creating greater connectivity between the two countries. A career diplomat, you started in the India Foreign Service in 1991. In your opinion, how relevant is diplomacy today and how has it evolved over the years? One immediate thought that comes to mind is that we live in an inter-connected world today and that everyone has instant access to all kinds of information whether it’s the internet, social media, email, texts etc. People are constantly in touch with each other around the world. However, you will also notice how the world has not come closer. It hasn’t eased the fault lines or reduced prejudices, biases and ignorance. In many ways, it amplifies them. Digital media is affecting everything in our lives, including international relations and statepeople relations. So the need for diplomacy has not diminished. It has, in fact, increased in our fast paced and wired world, where response has to be instantaneous and where expectations are enormous, whether you are dealing with the Indian community abroad or whether you are dealing with a much wider constituency in the areas of politics, business, education etc, in the country of your posting. In addition, countries have presence in other countries to provide a range of services, make assessments and act as a bridge – a role that has not diminished with the advent of the digital world. Its character has, perhaps, evolved. Then how should one approach or cope with the demands of diplomacy today? I think we must recognise that we are a part of a much bigger eco-system (even if you are in a principal position) that acts as a bridge between two countries. You have business community, media, academics, students, the diaspora and broader range of experienced people outside the government. The idea is that you all of them as one large team and use these resources to reinforce efforts to achieve shared objectives.